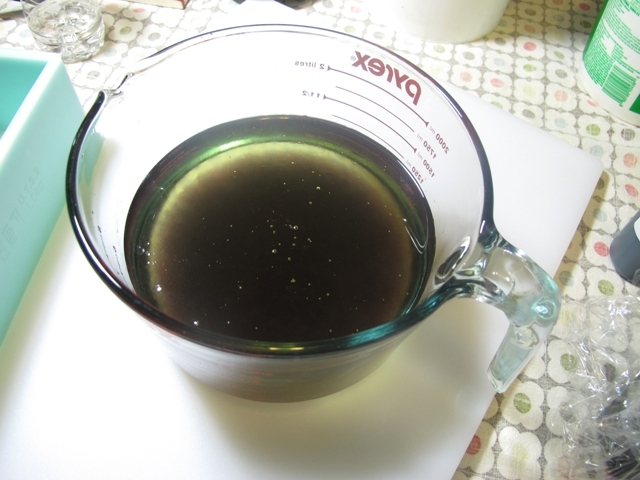 The recipe – 2 oz castor, 8 oz coconut, 8 oz lard, 10 oz olive oil, 3.9 oz lye & 8 oz water. 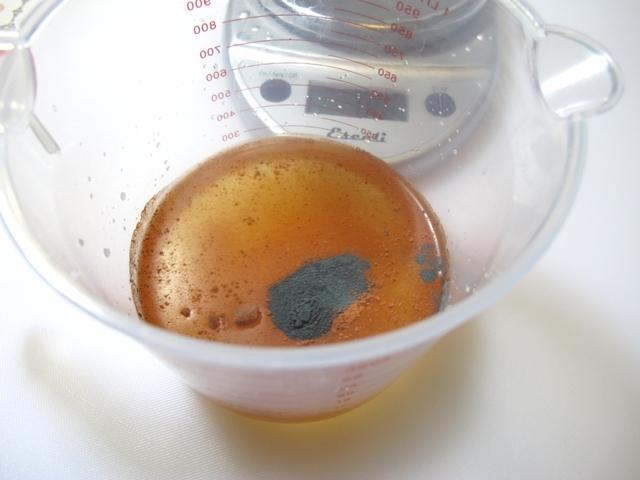 Add 1/4 teaspoon of madder root powder and 1/4 teaspoon of indigo powder to your water before you add the lye. 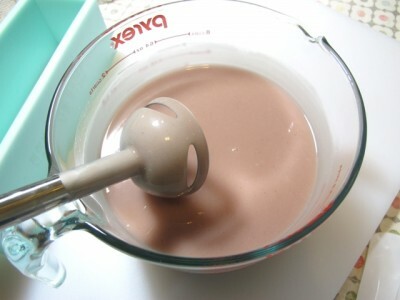 Add the lye slowely while stirring. 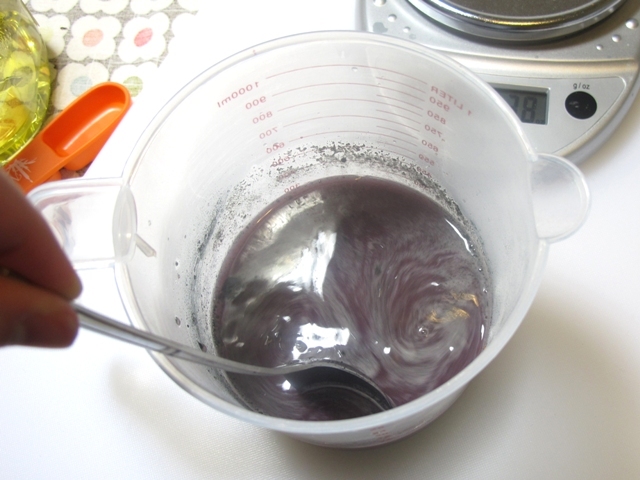 Melt the solid oils, add the liquid oils and add your fragrance. 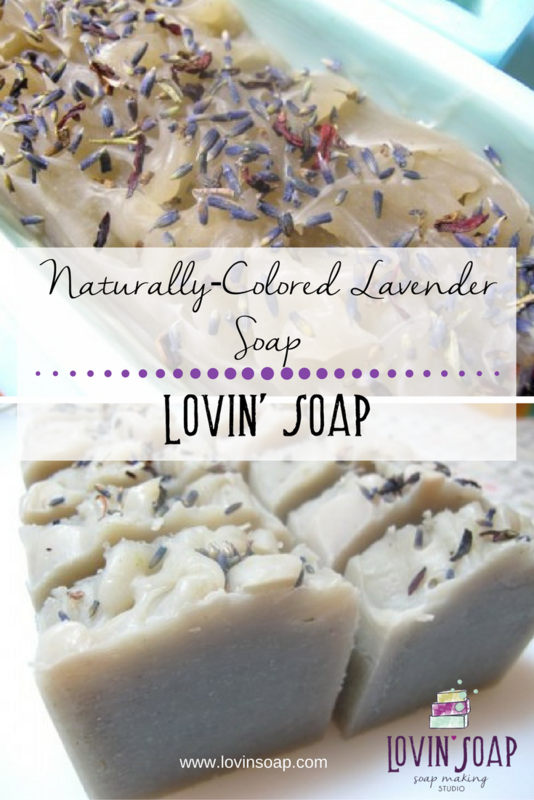 I used lavender essential oil. 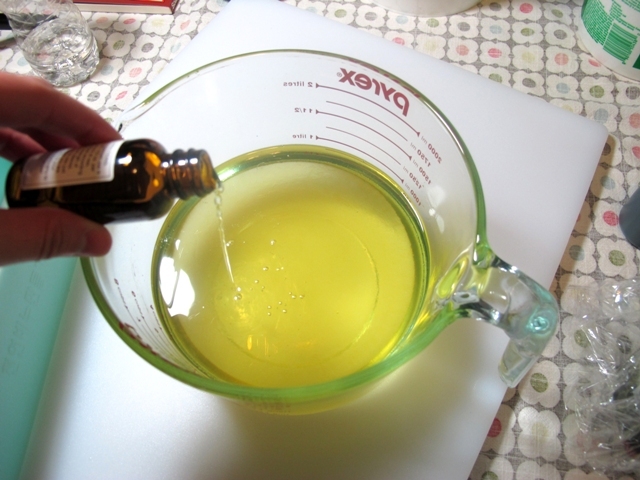 Once your oils and lye solution are ready…pour the lye solution into the oils. I poured my lye solution through a stainless steel strainer to strain out some of the herb powder. Pour it into the mold. I let mine set up a bit and teased the top with a craft stick. Then I added some lavender buds. 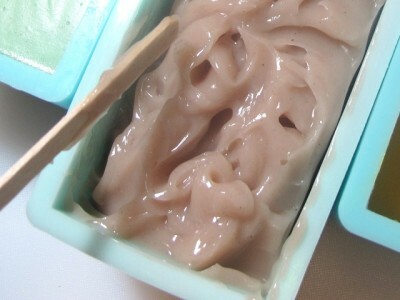 Since the top of the soap didn’t reach above the mold I covered with a piece of wax paper and a piece of wood and set it on a heating pad to go through gel. Here it is in gel stage. The next morning it was ready to cut. 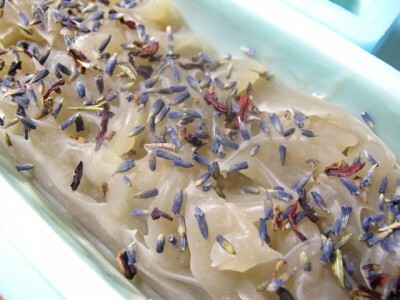 Here’s a tip on cutting soap with botanicals on the top without getting the “botanical drag” through the soap. Lay the soap on it’s side and cut in that position. It won’t drag the buds down through the soap like if you were cutting from top down. So overall I’m pretty happy with the outcome. It’s not a dark or very striking purple that you can achieve using alkanet. It’s more of a dusty vintage type of purple. I think if it were a flat plain bar it would be a bit boring…but the sculpted tops and light sprinkle of lavender buds make it all come together and look pretty good. I’m happy with it. 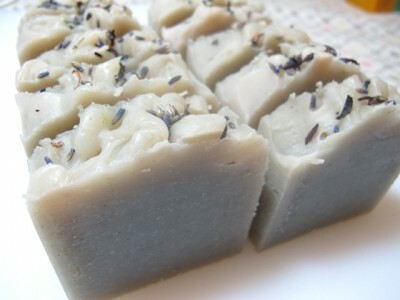 I am very new to soap making and desperate to make glycerine soap base – do you have a recipe that I can follow please? I would like to try the above recipe, with regards to the lye solution – can you explain how I achieve this. May seem like silly questions, but I’m brand spanking new at this. I’d appreciate any feedback you can provide me with. Great write up and the pics are perfect for helping set your point! 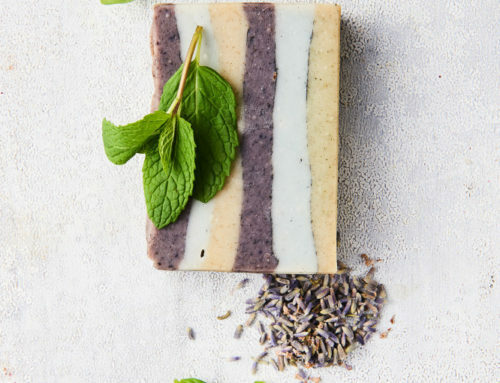 I too love natural colorants but my sometimes too “math” brain doesn’t figure out the simple things like using a craft stick to tease up the top lol. 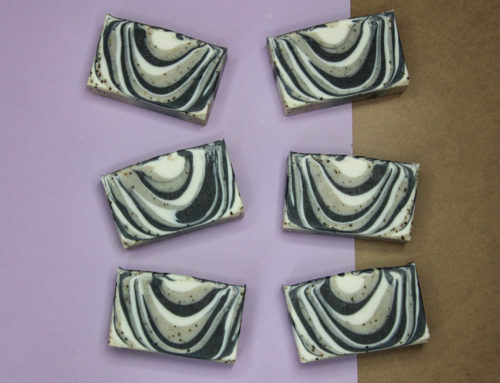 I have no idea how long it might have taken me to start trying out things to get a similar look, one that I like to see when shopping for soaps. It adds”fun” to an already great soap! Hi Joanne, There really isn’t a sub for castor so I would just omit it and run your recipe through a lye calc. Thanks for re-sending them . 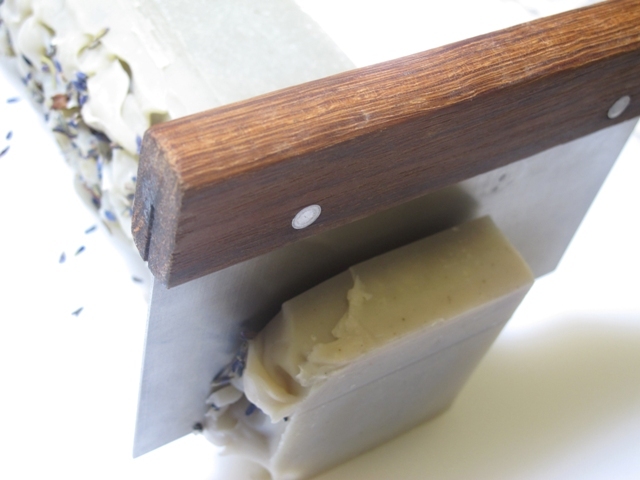 Very Happy now on my last batch of soap i had white Ash any ideas what i am doing wrong. Ash is just part of soap making. It is an aesthetic issue. You can polish your soaps under water or scrape off using a vegetable peeler. To prevent it, you can try spraying your soap with alcohol. Is alkanet root available in any “normal” stores? What would it be with or would it be in any ethnic grocer? I’ve visited several natural/health/herb type stores locally and can’t seem to find it anywhere. I would like a natural purple, too. Hi Sonya – I haven’t found it in any stores. I get mine from Brambleberry.com. Good luck! Hi Jennifer – I actually had this indigo from awhile ago. I was looking the other day and couldn’t find much. Bebe Molds has some. 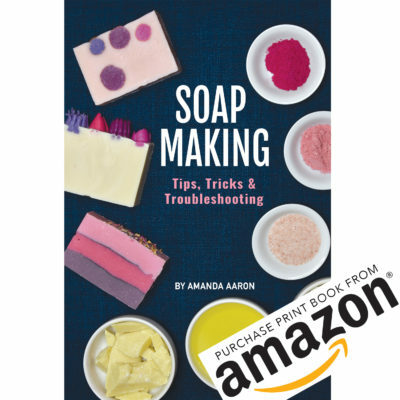 It looks like Soap Making Resource has some back in stock. Lovely, as always. 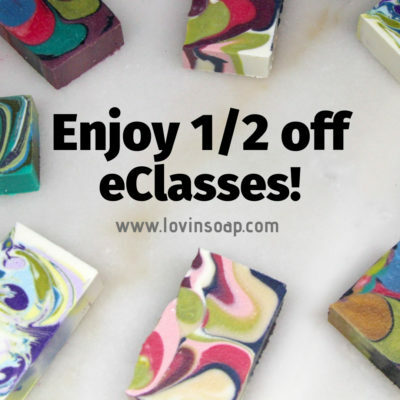 Your soaps are so beautiful! Very nice. 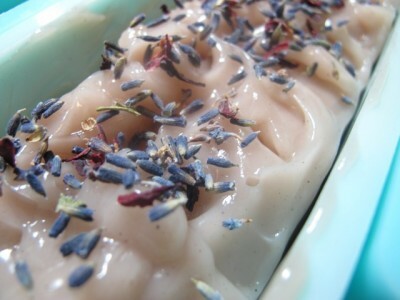 Looks like lovely soaps!